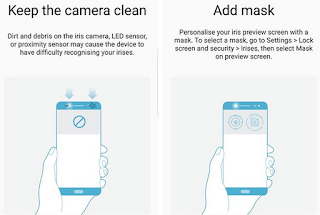 How to Set Up Iris Scanner on the Samsung Galaxy S8 - Samsung expected to unveil the Galaxy S8 and the Galaxy S8 Plus iris scanner, providing another secure way of unlocking the handset and potentially authorizing An iris scanner and AI assistant. Let's learn how to setup S8 iris, how to use and what problems solved by our Galaxy S8 tips and tricks. This Samsung Galaxy S8 feature may not be available depending on the region or service provider. If you use your iris as a screen lock method, your irises cannot be used to unlock the screen when turning on the device. 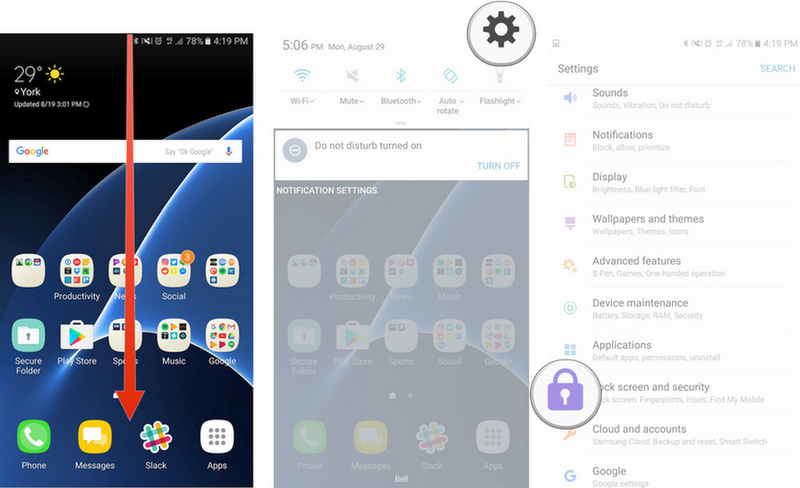 To use this Galaxy S8 features, you must unlock the screen using a pattern, PIN, or password you set when registering the S8 irises. Becareful not to forget your pattern, PIN, or password. 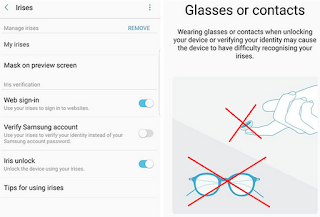 If your Galaxy S8 have problem on irises are not recognised, unlock the device using the pattern, PIN, or password you set when registering the irises, and then re-register your irises. If your pattern, PIN, or your Galaxy S8 problem password is forgotten, you will not be able to use the device if you do not reset it. 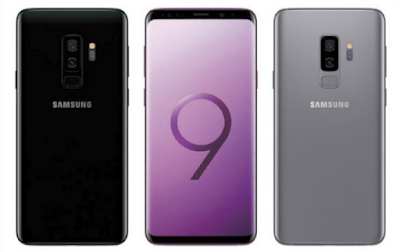 Samsung is not responsible for any data loss or inconvenience caused by forgotten unlock codes. 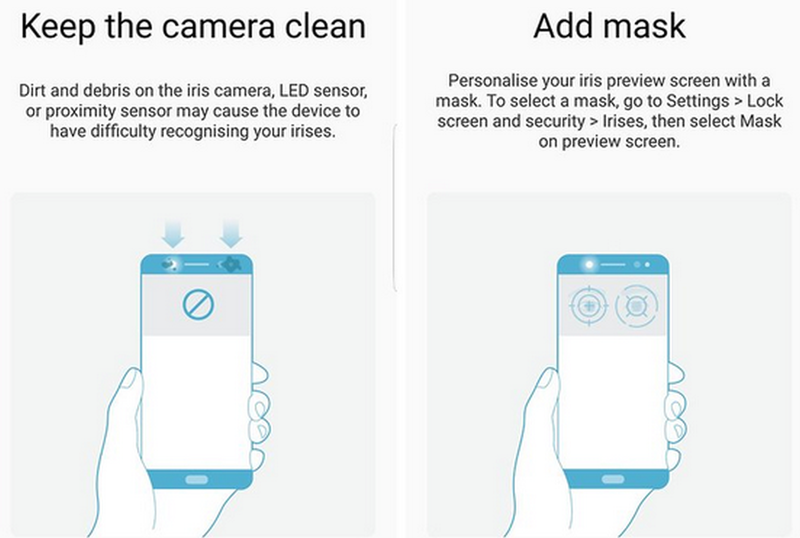 Before using the Galaxy S8 iris recognition camera and LED, keep the following precautions in mind. To protect your eyes, keep the screen at least 20 cm away from your face when using iris recognition. Do not attach unofficial screen protectors (privacy protection films, tempered glass protectors, etc.) to your device. The iris recognition LED may not turn off even when you are very close to it. Do not use iris recognition with infants. Doing so may damage their eyesight. Anyone who experiences dizziness, seizures, loss of awareness, blackouts, or other symptoms linked to an epileptic condition, or a family history of such symptoms or conditions, should see a doctor before using iris recognition. 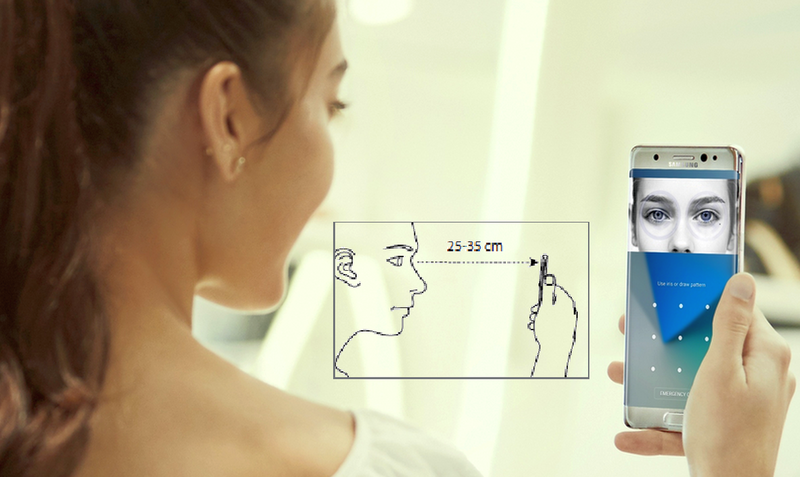 The iris scanner is not intended for use as a medical device; biometric data collected and stored locally by the iris scanner is not intended for any diagnostic, therapeutic, or preventative medical purposes. Alternative security options are available on your device. Please follow all our Galaxy S8 Plus instructions for the use of this feature. Something prevents the camera from getting a good view of your irises (e.g. glasses, glare, low eyelids, recent eye surgery, or a medical condition). Something gets in the way of the camera or the LED (e.g. a screen protector, dirt, damage to the camera). The lighting is very different from when you recorded your irises (e.g., too bright room). On the Apps screen, tap Settings → Lock screen and security → Irises. Unlock the screen using the preset screen lock method. If you have not set a screen lock method, create one. Read the Galaxy S8 Plus on-screen instructions and tap CONTINUE. To register only one iris of your eyes, tap. You can choose to register only 1 iris. Hold the device with the screen facing towards you and look at the screen. Position your eyes inside the circles on the screen and open your eyes wide. The iris recognition camera will scan your irises. When an iris lock pop-up window appears, tap ENABLE to use your irises to unlock the screen. When you swipe in any direction on the locked screen, the iris recognition screen will appear. Look at the screen to scan your irises. Unlock the screen using the preset screen lock method. Once the registered irises are deleted, all the related features will also be deactivated. Use your Galaxy S8 irises to verify your Samsung account password. You can use your irises instead of entering your password, for example, when you purchase content from Galaxy Apps. Tap the Verify Samsung account switch to activate it. Sign in to your Samsung account. You can use your irises to sign in to webpages that support password saving. This Galaxy S8 feature is only available for webpages that you access via the Internet app. Tap the Web sign-in switch to activate it. Open a webpage that you want to sign in to with your irises. Enter your user name and password, and then tap the webpage’s sign in button. Tick Sign in using biometrics next time and tap REMEMBER. You can use your irises to verify your account and password to sign in to the webpage. 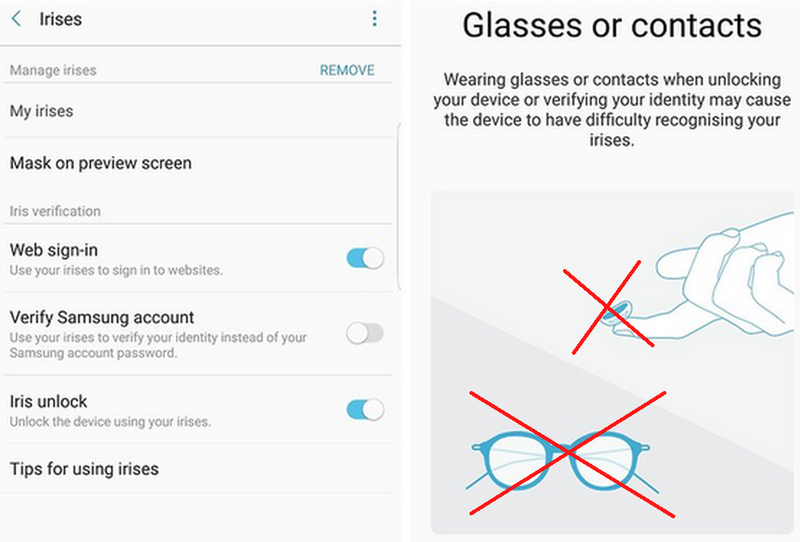 You can unlock Samsung S8 screen with your irises by read Galaxy S8 tutorial instead of using a pattern, PIN, or password. Tap the Iris unlock switch to activate it. On the locked screen, swipe in any direction and position your eyes inside the circles on the screen to scan your irises.